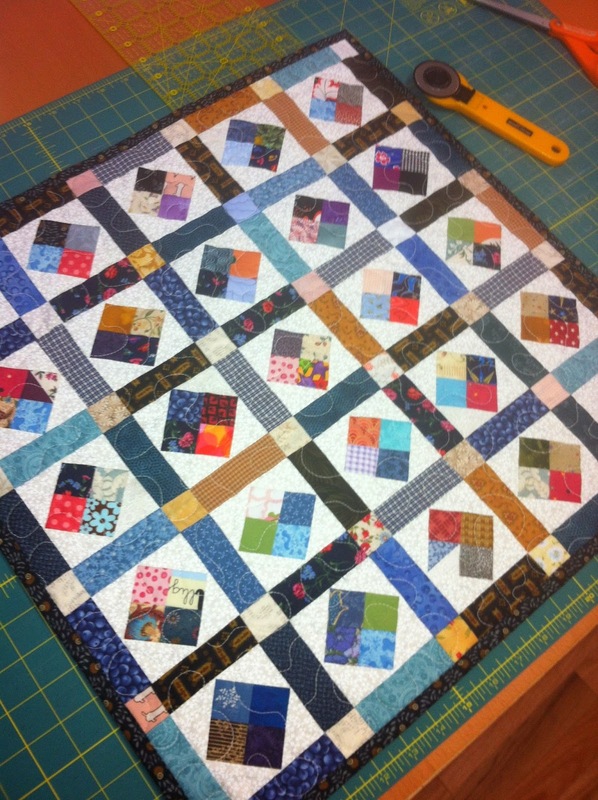 Some weeks are for piecing and starting projects. This week was about getting some projects finished and off the to-do pile. I did get my 9-patch and snowball back from being quilted and because I had made the binding when I pieced the quilt, it only took a short time to machine stitch the binding on and a label, so it's now ready to find a new home! 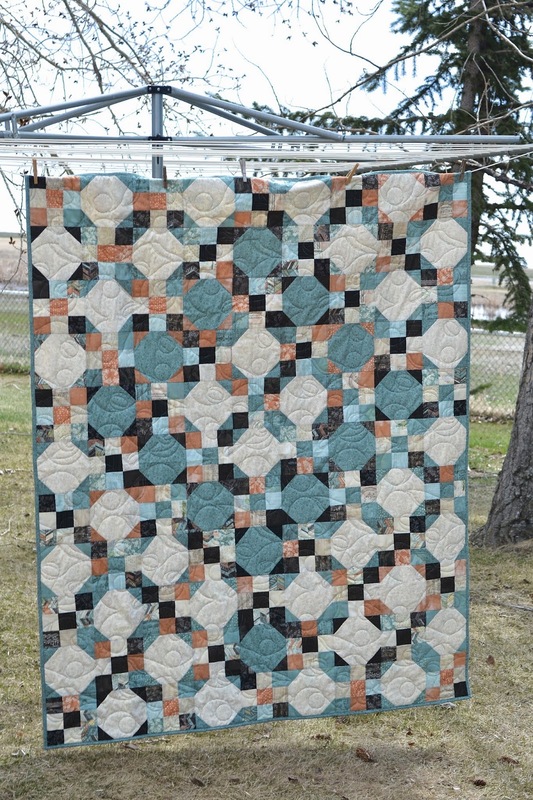 I also finished the mini quilt I started a couple weeks ago and I had such a good time using my scraps and love the finished project, I may just make another one or two because I can! And these baby quilts made from scrappy 9-patch blocks are flying out of my shop, so here's another purple one to replace the one that was sold in March. The pink one also found a new home, so the blue quilt has been looking rather lonesome! So, now my sewing table is clear for a couple new projects! Can't wait to show you! Love the 9-patch and snowball combo. Wouldn't have thought of it myself but now just might do one with all my scraps. Thanks for being an inspiration!